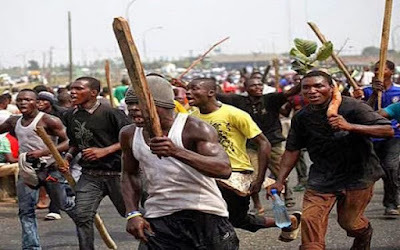 Jungle justice is the concept and act of disregarding the rule of law and taking matters into one's hands; more clearly put, it is the act of handing suspected criminals over to the hands and mercy of an angry mob. The resort to Jungle Justice is on the rise in the country. And this suggests a growing loss of confidence in the ability of law enforcement agencies and the courts to keep criminals in check. The extra-judicial killing of criminals is not acceptable in any decent society. The idea of resorting to jungle justice has been with us in this country – Nigeria, for many years. But whatever the reason for it, it is repugnant and will never be justified by any reason whatsoever. The summary trial, sentencing and execution of death sentences on suspected criminals by mobsters are reprehensible. Nigerians should not take the law into their hands for any reason. Lynching should be discouraged by every means possible. It is anathema to the law and any society that wants to be seen as guided by the rule of law should not tolerate it or handle it with leniency. 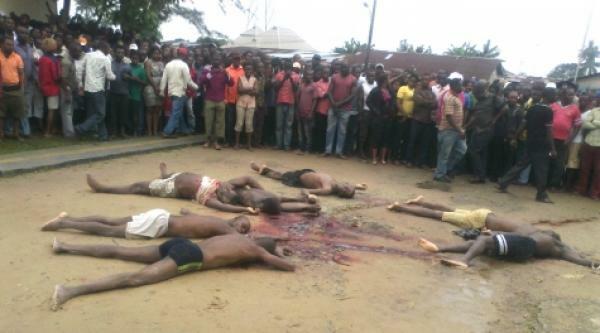 In fact, lynching speaks volumes of the level of development of the country. Have Nigerians lost it so much that they can no longer abide by the rule of law in dealing with suspected criminals? Where are the social and conflict resolution mechanisms for which all responsible societies are noted for? Have we lost faith in our law enforcement agencies that we would rather arrest, try, judge and execute criminals on our own? Where are the police when citizens are being killed? The fast resort to jungle justice should worry the police. 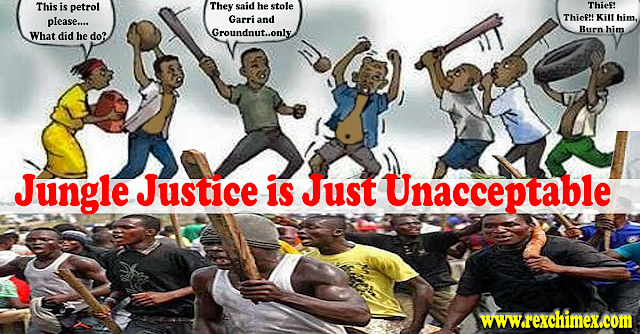 Nigerians should not be allowed to adopt self-help in dealing with Criminals. In most cases the police are unable to come up with a definite account of what really and truly transpired. Victims of Jungle justice are often killed in the broad day light. In most cases, the social media play a vital role, in showing what really happened. As people will be posting it online on Facebook, Twitter and the rest. Bloggers are not excluded. Such scenarios are embarrassing and shameful. Life is very important and should not be ended in ease. When cases of Jungle justice occurs, the perpetrators/promoters of such inhumane act and heinous crime must be fished out and the appropriate sanctions visited on them. Irrespective of whatever the offence of the victim was, the law should be allowed to take its course. What about our Leaders who loot our treasury and still go Scot-free? How many of them has the angry mob prosecuted? How many of those people who maimed people in the name of jungle justice are sinless? Without blemish and as white as snow? By resorting to Jungle justice, the perpetrators challenged our collective sense of justice and civilization and that should not be condoned. Such irrational incidents should not be swept under the carpet. Proper investigations and closure of the matter should be pursued, so that some healing and comfort can be brought to the family of the deceased and our bruised sensibilities. No society that wants to attain greatness and respect in the nation can afford to continue on this negative path. Jungle Justice is a dent to the Image of every civilized society.